The current music market has seen a flash flood of reissues and archival releases in recent years, aimed, without blushing, at baby boomers who came of age as rock ‘n’ roll was gulping its first breaths. It’s a marketing tactic as old as the modern recording industry, but one that has produced some crucial documents, like the recent expanded reissue of Little Richard’s first album or A Boy From Tupelo, a lovingly crafted boxed set compiling all of Elvis Presley’s work from the very early part of his career. On the flipside are those unnecessary curiosities that seem garish and foolhardy in comparison. 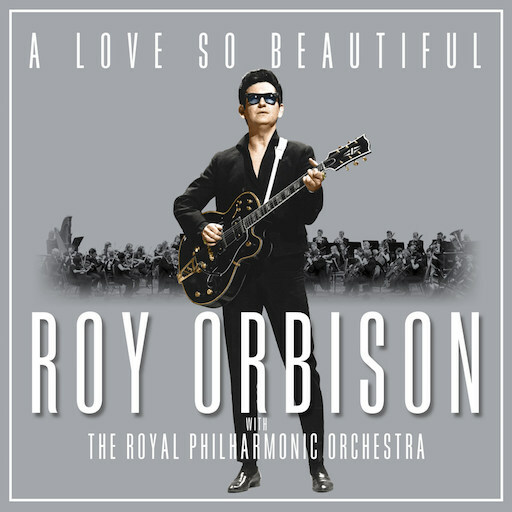 It’s there that we find A Love So Beautiful, a newly released compilation that takes some of the best known songs of pop star Roy Orbison and augments them all with orchestral arrangements, new backing tracks and sonic accoutrement. This was, according to the liner note written by Roy’s son Wesley, “destined to happen,” inspired as they were by If I Can Dream, a similar fluffed up effort that joined Elvis’s vocal tracks with syrupy music played by the Royal Philharmonic Orchestra. And just like that gaudy album, A Love So Beautiful reduces one of the great singer/songwriters of the early rock era into a posthumous puppet, with all energies directed toward one last cash grab before the audience for these kinds of releases dies out. No song featured here comes away unscathed. Orbison’s early ‘60s sides were perfection, open air showcases for his knee-buckling vocals recorded with restraint and poise by Fred Foster. All of that is stripped away in place of busy arrangements full of string swells and mannered backing vocals. The material that Orbison recorded 25 years later, found on posthumous albums like Mystery Girl and King of Hearts, already suffered from the satiny production style of the time. The work done by producers Nick Patrick and Don Reedman strains them even further, stuffing digital effects and iTunes-style mastering onto already full ideas. What is worse is the unctuous pride that everyone involved exhibits toward this project. The liner notes are fat with hyperbole. According to Reedman, “we all wanted to make a record from the heart, and that’s just what we have done.” Wesley Orbison refers to “destiny…knocking at the door.” It’s hard to square such thinking with these results. True, there’s a certain charm to the idea of throwing a little guitar figure strummed by the 10 month old grandchild of Roy Orbison to kick off the redux of “Oh, Pretty Woman.” But it feels like a quaint gift for a long retired rocker while they were alive, not something meant for public consumption. A Love So Beautiful also represents a litmus test for the commercial viability of releases like this. If I Can Dream edged the door open, selling over a million copies in the U.K. If this album does similar business or better, the floodgates will truly be open and you can expect to see many more like it in the near future. Brace yourselves.